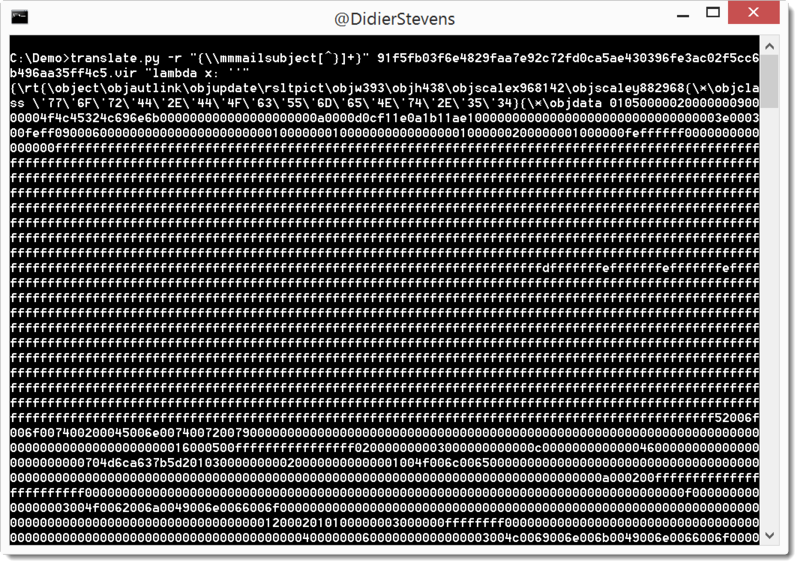 In this nice blogpost, @bluejay00 analyzes RTF malware with my rtfdump.py tool. But because of obfuscation, rtfdump.py is not able to extract the object. @bluejay00 understands this, deobfuscates the RTF sample with an editor, and is then able to get my tool to work correctly.